The Antwerp 10 Miles & Marathon is Flanders’ largest running event. 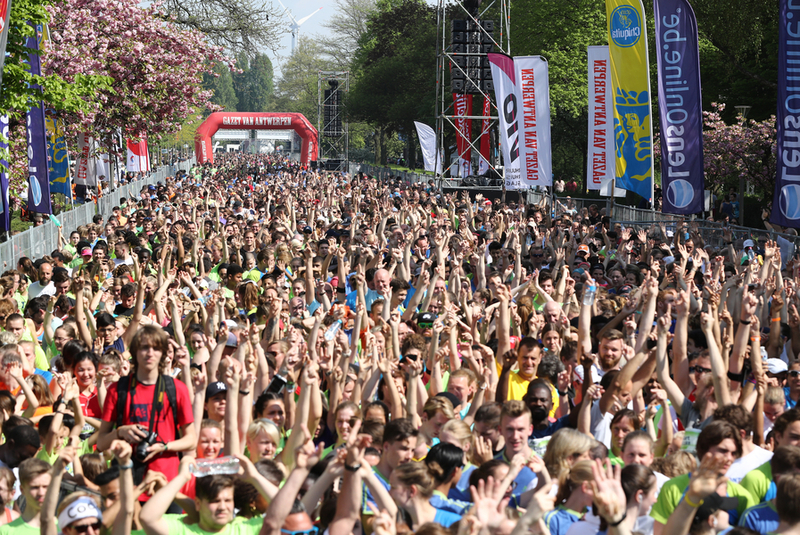 All day long, tens of thousands of runners take over Antwerp’s inner city. Join in this unique running event or enjoy the unique atmosphere while encouraging runners from behind the fence. The Antwerp 10 Miles & Marathon includes several races: a marathon, a kids run and a short run. The icing on the cake is, of course, the 10 Miles. Due to the huge success, this race starts in three waves. What is unique about the 10 Miles is the run through both the Kennedy Tunnel and the Waasland Tunnel, two tunnels under the Scheldt which are otherwise only accessible by car. Atmosphere guaranteed! The races start and finish on the Left Bank, except for the marathon, which finishes on the Market Square. Go to the website of the Antwerp 10 Miles and Marathon to sign up. For drop-offs Meir you can use the parking lane in de Van Stralenstraat. For drop-offs nearest to Groenplaats you can stop at the Lange Gasthuisstraat, coming from the Leopoldstraat and turning point Huidevettersstraat.